I have a problem with no transparent png images in my pygame game. I load png images and blit them to the screen. I have a dark background of game screen and white background of images. Although, the images blitted are visible with white background. I would expect images to be transparent however I can not achieve it. I can not find an accurate information in internet with a solution to my problem. Is there any chance somebody could point me into the right direction and review my game ? How to achieve transparency of images ? Game background color: black. Image backgroud color: white. How to get the image background transparent so it is not visible regardless the game background color ? Not the answer you're looking for? Browse other questions tagged image pygame transparency blit or ask your own question. How do I blit a PNG with some transparency onto a surface in Pygame? Why won't colorkey or setalpha work on my code in pygame? 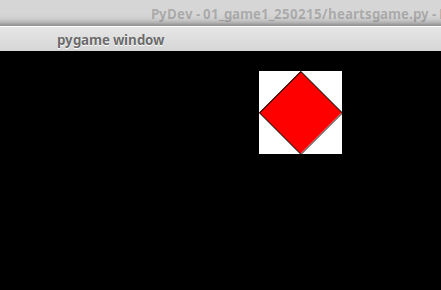 Pygame - How do I blit an image but change its color?